Whirring -- moving at 432 mph, the plane glided while I sat with my chin propped up on the palm of my hand, my eyes wandering on views outside of my plane window... 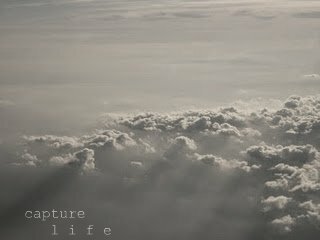 I passed a group of clouds, and captured their delicate beauty. (This picture has got to be my favorite one taken in june so far). Reminiscing on spring... looking back at old photos. They light up the ground, and bring a smile into my day. I highly recommend you to get these tins... They open and close and contain lovely little things. ... this English weather keeps on changing. Some days I feel like wearing a warm, wool sweater and sitting down with a good book. Other days, I'm feeling like grabbing my swimsuit and diving into a cool pool. What about you? 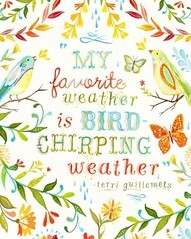 What's your favorite weather like? You ask what kind of weather is my favourite weather?...I like to feel 'a nip in the air' and, if it happens to be sunny and bright or slightly cloudy, as the fall approaches...I am okay with that. We are, also, experiencing 'yo-yo-like' weather, here in Montreal. i absolutely LOVED the first picture, so gorgeous! I LOVE thunderstorms- the enveloping plop, plop, plop from the rain plus the loud CRACK of lightning make me want to cuddle in my room with a nice blanket and a good book :) Thanks for sharing your images. Wow, that picture from the airplane is AMAZING! :) I really like it! Brighton boxes are cute. ;) When I was younger and my Mum could afford to buy things like that, I always loved getting the boxes once she took the jewelry out. lovely photos. and i love any weather in moderation. unless it is sun. i like it to be sunny for a LONG long time.